This is an important message. As policy, the NCGOP does not engage its list of donors and supporters to solicit donations to individual candidates and causes. We don’t do this because of the financial needs of the Party and sheer volume of candidates. Chairman Hayes has authorized a rare exception for our friend, Congressman-Elect Dr. Mark Harris. After the votes were cast on November 6, Harris thought that the election was over. But after the State Board of Elections refused to certify Mark’s election win in the Ninth Congressional District, he has had to fight on a front that he did not expect. His opponent Dan McCready and the national Democrat Party have enlisted Hillary Clinton’s Washington, D.C. election lawyer, Marc Elias, to submit legal filings with the State Board of Elections demanding that his election not be certified and that McCready be given another shot in a new election. This, despite the fact that no public evidence has shown any election irregularities would overturn Mark’s 905-vote victory margin. Mark has had to use his own personal funds to engage lawyers to defend his election victory. 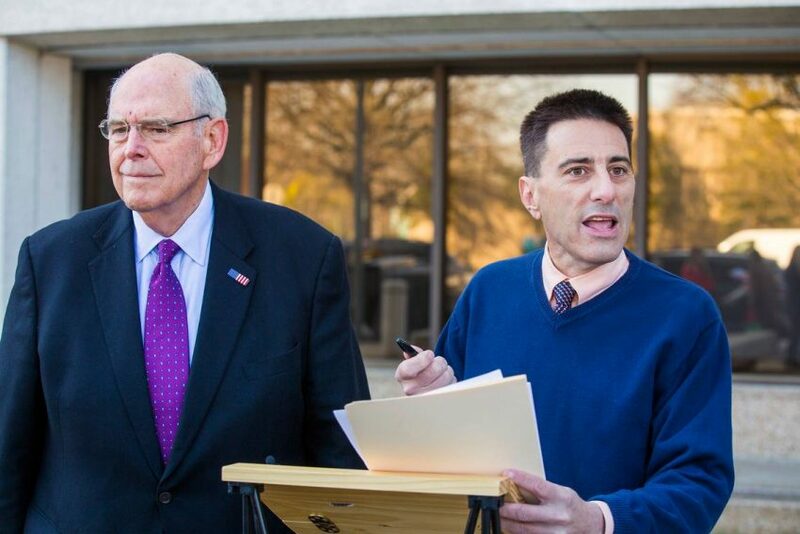 The NCGOP and his lawyers have demanded that the State Board of Elections follow state law and certify the election if any irregularities shown would not affect the election’s outcome. The liberal news media are repeating over and over that a new election is required, but the public evidence to date does not show that, or much of anything. This will not change when the new State Board takes up the matter in February. I am asking you to help Mark fight by contributing to a legal defense fund recently set up for him. Any amount can help. The legal expense fund may accept contributions of up to $5,000 each calendar year from any individual or business, including a corporation, as well as a political action committee. Contributions by partnerships or S Corporations will be deemed to be contributions from the entity’s owners in the proportion of their ownership interests. Federal lobbyists and foreign agents may not contribute. Contributions to the trust fund will be disclosed in filings with the U.S. House Ethics Committee. 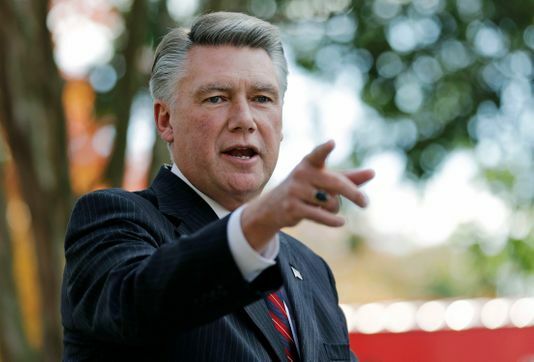 Attn: Robert H. Hull, Jr.
For general donations, please visit the Mark Harris for Congress website. All donations are subject to disclosure via federal regulations. Thank you for helping Mark fight to secure the victory that the Democrat Party and the news media desperately want to deny him. There are all kinds of examples of the NCGOP and other state parties helping their respective nominees in statewide and federal races.. And WHAT “financial needs” could possibly take precedence over fighting this blatant attempt by leftists to steal a congressional seat? Robin Hayes’ airplane fuel? Those donations to county comissioner candidates? Ralph Hise’s legal bill? Why is that? Senator Ralph Hise apparently didn’t have to worry about shelling out for a lawyer. The state party picked up that bill for handling his dispute with the state board of elections. And let’s not forget all the legal fees the party paid to keep Dallas’ warm-body recruits on the ballot — defending them from residency challenges by the Democrats — prior to the 2018 vote. This MAY have something to do with the news that Dan McCready has already banked $500,000 for an election do-over — if one is called for. NCGOP sat on its collective hands for the longest time, playing go-along-get-along with every hare-brained accusation the media and the Democrats could toss out there. Things changed when the conservative blogosphere started raising Cain and the grassroots began making their voices heard on Jones Street and on Hillsborough Street. It’s good that Dallas and his grandpa are stepping up to the plate finally. But we all need to stay behind them, and stand with Harris in this fight. Regardless of your personal opinion of Mark Harris, the leftist efforts to so brashly swipe this House seat cannot be tolerated. Dallas, with Hayes blessing, has been throwing Mark Harris under the bus at every turn to this point. I wonder why the change? The NCGOP has shared with this last email “public step up and help your candidate”. The email takes NCGOP ( Dallas and Hayes) right out of the picture. Hands washed and let’s move on to our Establishment Candidates for 2019. The primary is 13 months away. They have always been a poor example of Party leadership in my book. They are servants unto themselves. Their Republican Conservative Scorecard in my book is equal to their favorite son, Sen Thom Tillis- barely 40%.